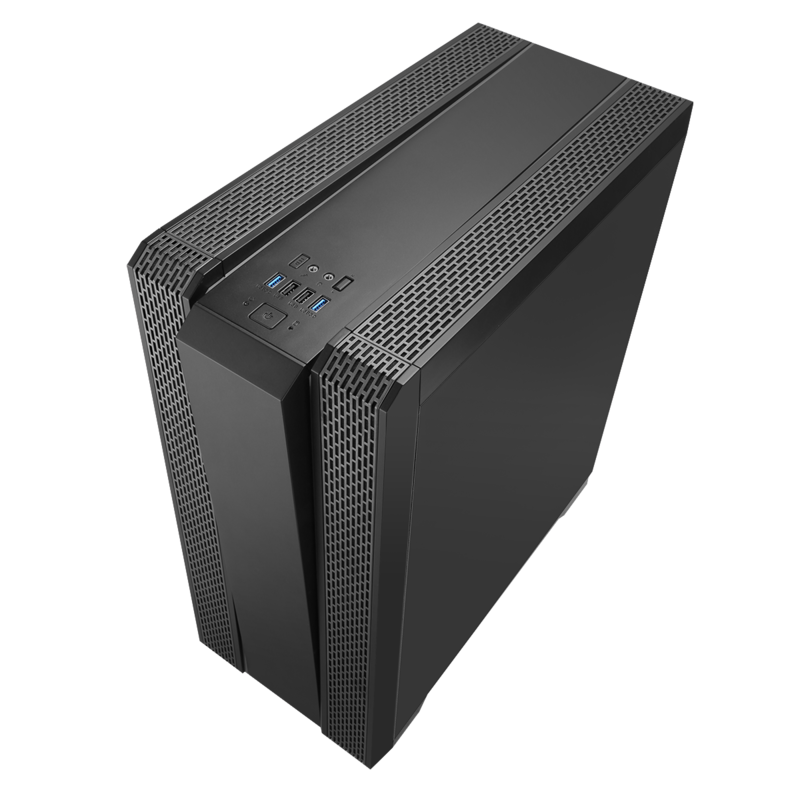 Brand new for 2018 Game Max are proud to introduce the Demolition ATX Mid Tower gaming case, with a full tempered glass left side panel. 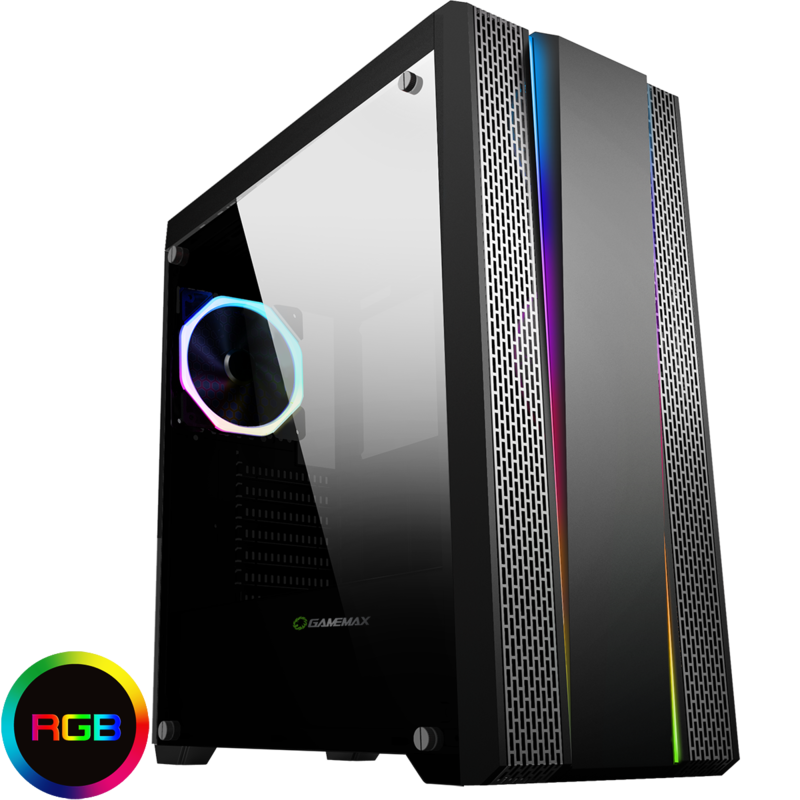 One Single-Ring Halo Rainbow RGB fan is included at the back and room for an extra six fans this case really has something to offer. Rainbow RGB strip on the front and top adds even more colour and gives you a new level of computer lighting. To control your LED lighting has never being easier included on the Demolition is one fan controller and LED button allowing you to control the speed of you fans and colour so much easier. Two USB3.0, two USB2.0 ports and HD audio are also situated on the top panel to allow you to connect to more media devices. Your choices don’t stop there as well as all this included the Demolition comes with an RGB controller which can be connected to 10 devices in total, 8 fans and 2 LED strips. 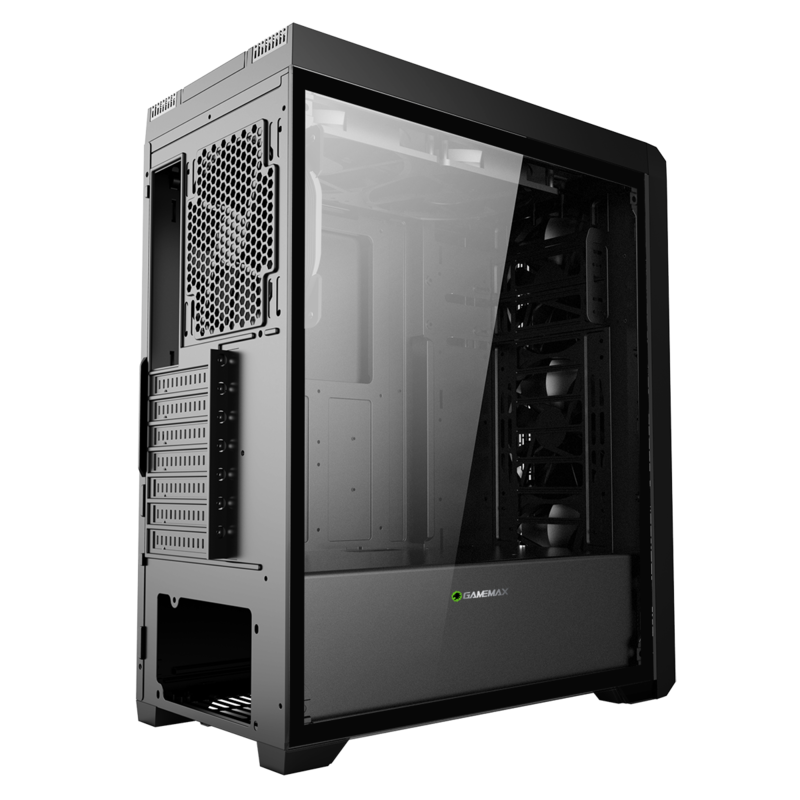 Design – The Demolition is a mid tower gaming case with a unique design it comes with a tempered glass left side panel and an Rainbow RGB strip on the front and top. Fans – Supports up to six fans with 1 x 120mm single-ring rainbow RGB fan included to give your chassis some added colour. Fan Controller & LED Button – One fan controller (for control of up to 6 fans) allowing you to control the speed of your fans to better suit your needs. The LED button allows you to change the colour of your fans easily. RGB controller – The Demolition comes with an RGB controller and can connect to 10 devices. 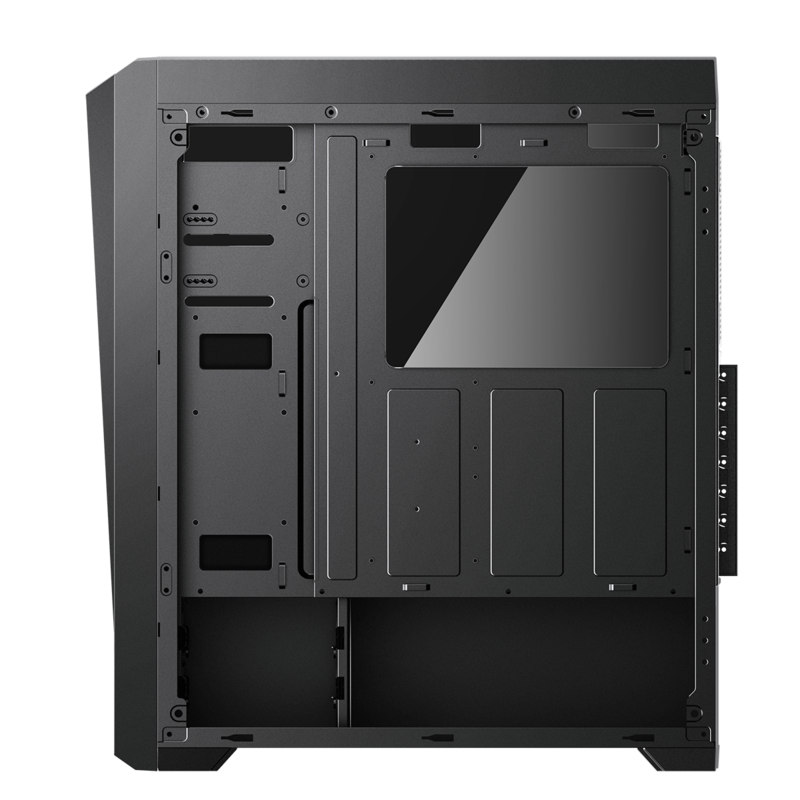 Water-Cooling Support – The Demolition can fit 1 x 240 / 280mm radiator at the front, 1 x 240 / 280mm radiator at the top and 1 x 120 / 140mm radiator at the back to give the user extensive water cooling support.